CUYAHOGA FALLS - Steve “Papa” Tuza, 81, went to be with the Lord peacefully surrounded by his family on January 22, 2019. He was born in Hungary and resided in Cuyahoga Falls for the past 54 years. Steve retired from General Motors after 30 years of service. He was one of the founding members of the band “The Hungarians” in which he played saxophone. Steve was an active member and past president of the Hungarian American Club. He loved reading, old war movies and was very proud of his Hungarian-American heritage. Steve was very active in the lives of his children, grandchildren and great-grandchildren and was always front and center at every life activity. 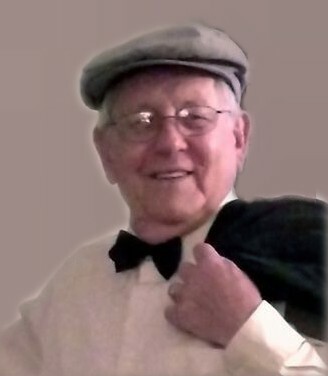 Preceded in death by his parents and siblings; he is survived by his wife of 62 years, Elizabeth; children, Elizabeth (Bob Drinoczy) and Steve Jr.; grandchildren, Jennifer (Todd) Stump and Rob (Laura) Young; greatgrandchildren, Trevor, Audrey, Jackson, Peyton, Maddy, Michael and Mallory; and his lifelong Hungarian friends. Cremation has taken place and the family will be having a celebration of life at 2 PM Sunday February 24th, 2019 at the Hungarian American Club 694 E. Waterloo Rd. Akron, OH 44306. In lieu of other remembrances memorials may be made to the Hungarian American Club. Services entrusted to Clifford-Shoemaker Funeral Home and Crematory, 330-928-2147.